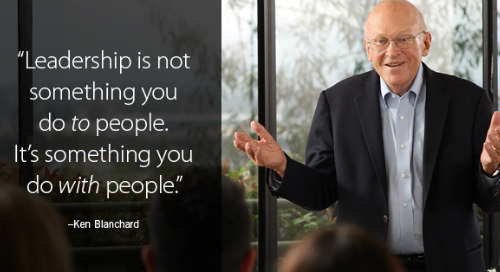 “A servant leadership mindset is all about focusing on others rather than yourself,” says bestselling business author Ken Blanchard. 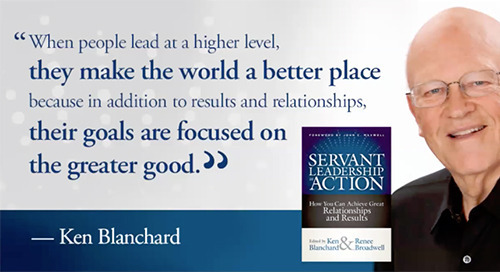 As part of research for a new book, Servant Leadership in Action, Blanchard had an opportunity to explore both the mindset and the skill set needed for leaders interested in adopting an others-focused approach to leadership. “The mindset is to recognize that there are two parts of servant leadership, says Blanchard. “There is the vision, direction, and goals—that’s the leadership part. Everybody needs to know where you’re going and what you’re trying to accomplish. Delegating: “Servant leaders first make sure that people know what the goals are. Then they turn the organizational pyramid and the reporting relationships upside down. They ask questions like How can I help? and What can I do to make a difference to help you accomplish your goals? Servant leadership is a journey, says Blanchard. It’s both a mindset and a skill set. Once you get it right on the inside you can begin to develop the skills related to goal setting and performance management. 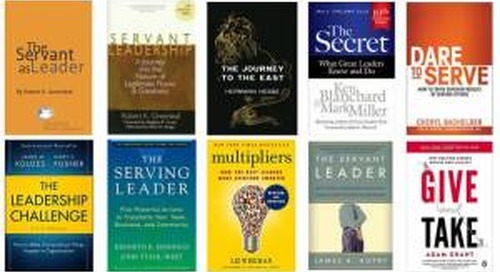 Blanchard points to two of his company’s flagship programs as examples of how servant leadership principles can be taught as a part of a larger leadership development curriculum. “In many ways, servant leadership is the overarching theme that covers the concepts of two of our most popular programs: Situational Leadership® II and First-time Manager. “For example, Situational Leadership® II has three skills that generate both great relationships and results: goal setting, diagnosis, and matching. Notice that the first skill is goal setting. All good performance starts with clear goals—which, for a manager, are clearly part of the leadership aspect of servant leadership. 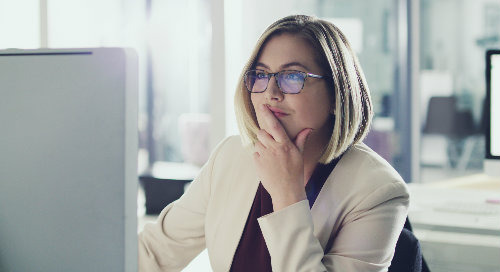 “Once clear goals are set, an effective situational leader works with their direct report to diagnose the direct report’s development level—competence and commitment—on each specific goal. Then together they determine the appropriate leadership style—the amount of directive and supportive behavior—that will match the person’s development level on each goal. That way the manager can help them accomplish their goals—the servant aspect of servant leadership. The key here is for managers to remember they must use different strokes for different folks but also different strokes for the same folks, depending on the goal and the person’s development level. “In our First-time Manager program we teach the concepts of One Minute Management. 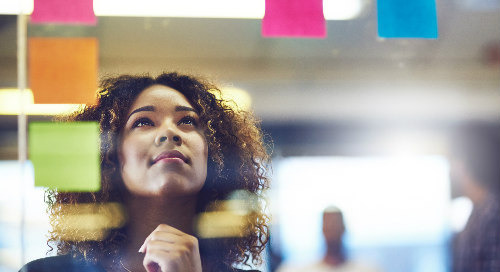 The First Secret of The One Minute Manager is setting One Minute Goals—which for a manager is part of the leadership aspect of servant leadership. Once employees are clear on goals, an effective One Minute Manager tries to catch people doing something right so that they can deliver a One Minute Praising—the Second Secret. If the person is doing something wrong or not performing as well as agreed upon, a One Minute Re-Direct is appropriate—the Third Secret. 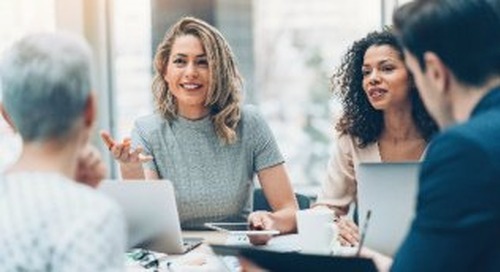 When effective One Minute Managers are praising or redirecting their employees, they are engaging in the servant aspect of servant leadership—working for their employees to help them win. 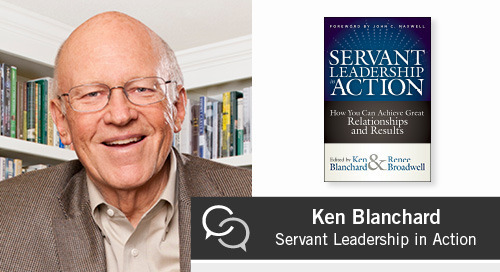 Learn more about implementing a servant leadership mindset and skill set in your organization with Ken Blanchard. 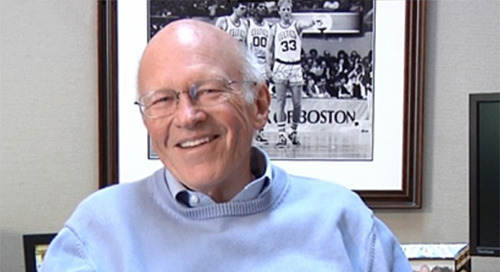 He recently hosted an online Servant Leadership in Action Livecast on February 28. Listen to Blanchard and 20 authors, CEOs, and thought leaders from all walks of life. They discuss strategies and offer encouragement for leadership, learning, and talent development professionals interested in discovering more about servant leadership concepts.